For most people considering a home remodeling project, budget is an important consideration. You want to spend your hard-earned money wisely and get the most for your money. It’s important that your contractor respects your financial priorities and strives to keep costs within your budget limitations. 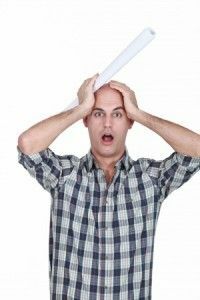 They are inexperienced in that particular type of projects and unfamiliar with the cost of labor and materials involved—meaning your bill may quickly skyrocket once the job begins. The contractor may plan to try and cut costs by using lower-quality materials or rushing through the process, cutting corners that could affect the appearance and integrity of the work. The contractor may be able to work more cheaply because they aren’t paying for things like insurance or licenses/certifications that reputable businesses do. Worst case scenario: the contractor just wants to get the initial payment from you, and has no intention of completing the job. At RW Remodeling, we know you work hard for your money, and we’ll do everything in our power to keep the budget reasonable—while also keeping it realistic. We won’t hit you with nasty surprises or cut corners that would result in a disappointing final product.